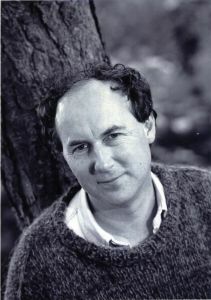 Though poet Harry Clifton is a native Dubliner and currently lives in Ireland, he has spent much of his adult life on the move. Clifton grew up in Ireland and attended University College Dublin, but left the country when he was twenty-five to teach at a teacher training college in Post-Civil War Nigeria. From there he moved to East Asia, where he worked for the Irish Civil Service in refugee aid programs in Thailand. Clifton has also lived in Switzerland, Italy, England, Germany, and France. The influence of these extensive travels is evident in Clifton’s work as he reflects on his life as an Irishman abroad. Be sure to check out Harry Clifton’s latest book The Winter Sleep of Captain Lemass, which will be released in May of this year!